Being pioneers in the industry, we are engaged in manufacturing, exporting and supplying wide array of Casing In Machine. These are available in accurate dimensions and are widely used for their accurate results. We provide products to our customers at industry leading prices and after testing them. We offer products in safe packaging and are reliable. We Simple Tech plus (Likith Enterprises), an established manufacturer, supplier & exporter of superior quality Paper Processing Machinery. Simple Tech plus (Likith Enterprises) was established in the year 2009 by Mr. Manjunath S individually. Prior to 2009 the founder were into manufacturing of parts for post press industry. The company has installed more than 47 machines within a short period of time. Under the research and development process, the company is constantly experimenting on product development. We use stringent quality control measures at all production levels. 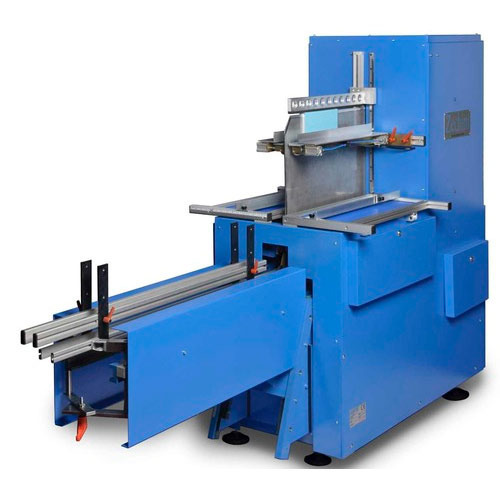 Manufacturing and assembling of Simple Tech plus (Likith Enterprises) Machines are completely done in the factory premises which ensure high degree of quality. Simple Tech plus (Likith Enterprises) machines utilize the latest technology available, while offering simple, low maintenance operation. renowned for manufacturing, exporting and supplying a superior quality range of Book Binding Machines like : case making machine, perfect bind, edge squaring machine, casing in, joint forming, hot press and much products required for binding industry, Thread book sewing machine. Our company also specializes in offering trustworthy After Sales Services to our respectable clientele. We use advanced production methods for the development of our range, which further have assisted us to cope up with the growing industrial challenges. Branded components are used to develop products, which we outsource from the certified industrial vendors. Apart from this, our company's whole operations are carried out under the skillful guiding principles of our honorable managing director Mr. Manjunath He with his sharp business insight, years of industrial experience and visual approach have assisted us in acquiring the huge client support.